This photo is rife with subtle symbolism. Today, people are having opinions. Lots and lots of opinions about David Bowie, a man whose media attention has, in the last few years, been at an historic low. Good or bad, The Next Day merits having some opinions—and just that is a triumph, I think. Like everyone else, I listened to the album this afternoon on iTunes, and I don't like it very much. The new David Bowie is currently available to stream for free on iTunes, and the question on everyone’s mind is, “How sad should this make us?” The Next Day is the onetime superstar’s first album since 2003′s indifferently-received Reality, and it hasn’t been hotly anticipated so much as warily watched out for. If this were Springsteen or the Stones, no one would worry too much. We know they’re doing fine. But Bowie made his bones as an artist, and just because he hasn’t made any good art in decades doesn’t mean that his ambition is gone. This is a man whom we don’t want to fail. 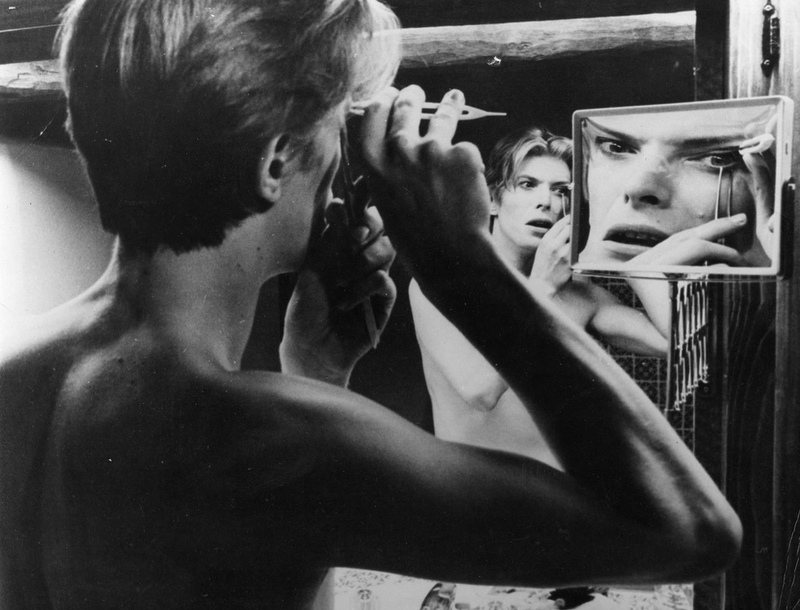 The question is what constitutes failure for Bowie. Should we treat this as a serious attempt, and trash it? Or do we let him coast on his name, and give him another pass? It depends on whether or not you still take Bowie seriously as an artist—or whether you think he takes himself seriously. It's a big question, and one that I am way, way, way under qualified to answer. One thought I had though—for every article you see about this album (including my two), take a look at the accompanying photos. If every picture you see is from the '70s, well, that says more about this album's importance than I can. I'm going to give the album a few more listens this week, and hope it grows on me. Heathen and Reality both did, although I haven't really listened to them much since high school. You'll feel much less conflicted about The Next Day if you like the album straight off, as Gothamist does. I hope everyone feels the same way they do. I hope I am completely wrong. Posted in Off-Topic Blather and tagged with David Bowie, Music, The Next Day, Bullett. March 1, 2013 by William Akers.